than 2,000 people taking part in the one-year, part-time learning journey. Individuals or teams, leaders and members, clergy and lay people learn side by side in the sessions to make msm a major contributor to lay and ordained ministry training. six or seven weekday evenings. roles, spirituality, worship and the sacraments, how to keep going when things get tough, and what is Church? 21.15, both at St Andrew’s LEP, Station Road, Langley Mill, Nottinghamshire, NG16 4BP. The residential weekend will be at Bawtry Hall, Bawtry, Doncaster, DB10 6JH. £299 per person, which covers all materials, refreshments and the weekend away. Financial support may be available. You are invited to share a one-year learning journey in a supportive community to be equipped for a lifetime of good practice and learning in growing fresh expressions of church in Derbyshire and Nottinghamshire from September 2011.
Who is it for ? Those exploring ideas for fresh expressions of Church; experienced pioneers who want to reflect on what they are doing; Christians who want their Churches to be more effective in mission; all denominations, traditions and ages; Urban, suburban and rural contexts. What will you learn ? How to begin, sustain and grow a fresh expression of Church; qualities of Christian ministry; listening to God in your context. Features of the course Designed for busy Christians; Delivered ecumenically; Local and national teachers; Reflection on your context and story; Varied learning styles and resources; Coaching, mentoring, learning networks; An online guide to fresh expressions. We, through the Church of England and Methodist Church in Derbyshire and Nottinghamshire allied with the Groundlevel network and the United Reformed Church are delighted to make MSM available locally. We believe it will be a significant resource for building the Kingdom of God in this area. Individuals are most welcome, but we particularly hope that small groups from a church or fresh expression will come as this will deepen the impact of the course. The course leaders are Revd M Mitton and Revd M Redshaw. Teachers include Revd M Mitton, Revd M Redshaw, Revd R Quarton and Mr G Bell. 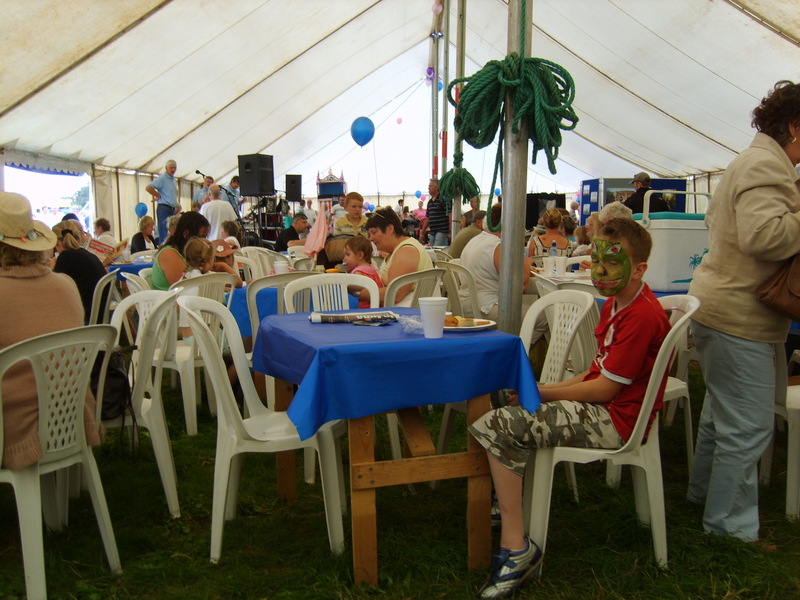 £299 per person, which covers all materials, refreshments and the weekend away. Financial support may be available. “More and more Christian people are being led to God to plant, sustain and lead fresh expressions of Church. The course is a crucial means by which the Holy Spirit is preparing them for this calling, Go for it !” Rev Dr Martyn Atkins, Methodist General Secretary. “The next big step in taking fresh expressions of Church forward is making the right kind of training available in every part of the country. The course is making a major contribution here and I`m delighted to commend it” Archbishop Rowan Williams. I don`t know if this has wetted your appetite but whether it has or not please feel free to pass the word onto others AND please pray for us in our preparations. I came across the following in The Buzz, an e-letter from the Methodist Church telling of exciting developments around the Connexion, where the Gospel of Jesus is being shared in new and exciting ways. It made me wonder, “is there a place within the Church for drama/entertainment ?”………………………………………. Hope Theatre Cafe is a great, welcoming venue in Cardiff where you can see a Christian performer, theatre company, singer, musician or mime artist. A special evening out at the theatre and a fresh expression of church!Anne Middleton and husband Revd Darren Middleton of the Hope Theatre Cafe believe that the arts have a way of transcending barriers. They see the Cafe very much as a place where people can bring friends and family because it is ‘neutral’ territory’. One audience member said, ironically, ‘you wouldn’t get me in a church’! Upcoming performances include the Lantern Theatre Company performing The Hiding Place in June and gospel Illusionist, Steve Price, appearing in July. All performers share their message of hope in Jesus, through their own art form. The winning formula is for the audience to be seated around small tables and treated to free tea, coffee and home-made cakes. The cafe opens at 7pm and the performance starts at 7.30pm. Afterwards prayer and an opportunity to chat is sometimes offered and a few people who have been to performances have since been to church. Anne and Darren are encouraged that the Hope Theatre Cafe team has committed help from volunteers, especially as it is likely that they will move on within the next two years. Their hope is that, now established, the theatre cafe will continue its successful run for years to come. I find this an exciting project and it has fired my imagination for similar ideas. However many would say that this is only a theatrical experience and not true worship. Whilst I don`t doubt that for a moment, lets look a bit more closely. Firstly the article reminds us that each performer(s) brings their own understanding of Jesus through their own art form; surely this is simply preaching using gifts and talents the artistes have. We`d expect preaching within the context of Church and surely this is what is happening here. Secondly, the opportunity to sit around tables in a cafe-style presentation is surely no different to the fellowship people claim to have when they attend a more traditional act of worship. It’s possibly a deeper fellowship because there is probably less inhibitions than there would be across pews or rows of chairs. Fourthly, the opportunity for prayer is there for anyone. Now I know some would say that in traditional church the leader tells us when to pray, but surely what often happens is that we all bow our heads and start thinking about all manner of things ! Can this truly be described as prayer ? heart prayer ? I feel that when prayer is offered and someone asks for it then the prayer time is far more personal and meaningful (now that’s opening a can of worms !!). Fifthly, and it isn`t stated above, I feel that there is the possibility for discipleship development within this expression. It’s probably already happening at the Hope theatre cafe and simply not expressed above. However I think that there are ways in which someones experience in such a place can then be led forward and their faith developed. I note that some have already started coming to Church; brilliant !! but, that cannot be the ultimate aim. The ultimate aim has to be to develop and nurture their faith in Christ, not simply seek `bums on seats`. Now for some that may be developed through Church itself in all its traditional form, but for others it may be through continued attendance at the cafe. Whichever it is we should rejoice at the pilgrimage of faith people are engaged in. Finally, the government cuts announced this week have got the Arts council up in a panic crying out that it will mean the end of entertainment to the masses. What an opportunity for the Church. Much of the theatre in this country and in other parts of the world began in Christian communities, the medieval mystery plays being one of the finest examples, and here is our chance to take the Gospel back to the people through drama/entertainment/films/and other media. Will we seize the chance ? I hope and pray that enterprising Churches will do so in ways that suit their communities and cultures. 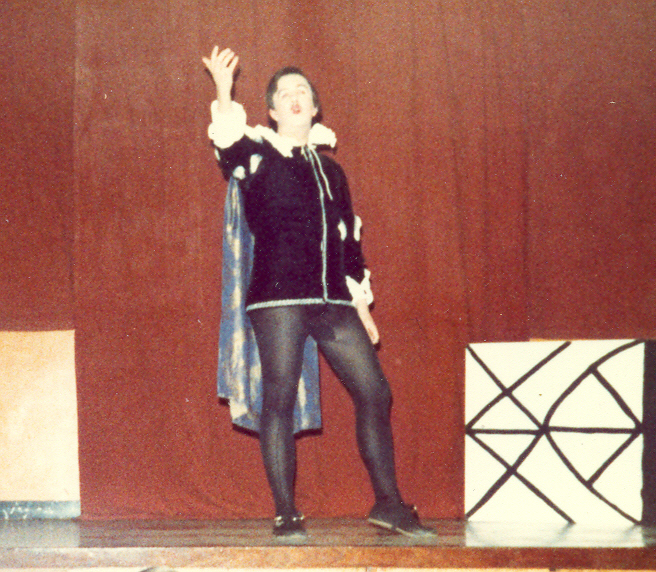 Drama and theatre were amongst my first loves. 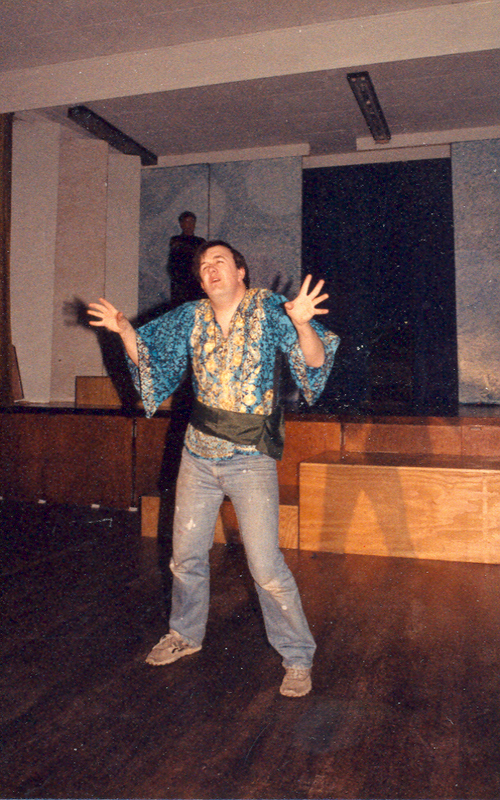 I`ve acted in and produced shows since the age of about 5 years (so there are one or two performances under my belt ! ); I`ve had the privilege of touring with a Christian professional theatre group around this country on a couple of occasions so I have seen and been a part of the positive effect of using these mediums to spread the Good News of Christ crucified and risen from the dead. So, to come back to my original question………… “is there a place within the Church for drama/entertainment ?”, I would want to say an unequivocal YES, YES and YES again. Well done to the Hope Theatre Cafe in Cardiff for this. 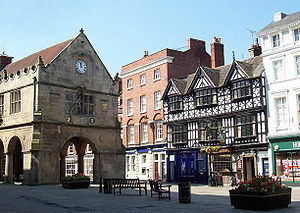 Spent today in Shrewsbury exploring a Fresh Expression of Church with the title “The Church of the Good Shepherd“. Its been running for about five years now and it was set up to encourage, support, liaise with housebound people with the express intention of supplying worship and Holy Communion. Whereas other visitors may go for pastoral reasons the purpose of this is to meet the spiritual needs of the elderly and housebound. Tricia has gone faithfully over the past few years to as many as 60 people per quarter, armed with her CD player, orders of service, Bread and Wine. In that time people have warmed to her, appreciated the connection with their previous Church or Circuit, sometimes invited neighbours to join in and delighted in the opportunity to worship again with another Christian. This isn`t to undermine the precious work of pastoral visitors and friends, but it is designed to enhance the work. I found it utterly fascinating and am now praying through whether this might be a way forward for the Borders Mission Circuit. It was a heavy day, long and tiring when I could have been doing other things but it was incredibly worthwhile and the sort of thing I came into Ministry for. Thank you Lord.